LA to Japan was one long afternoon, so instead of sleeping I stayed awake and worked, first on Jason’s publisher’s criteria, then on my talk for Korea. 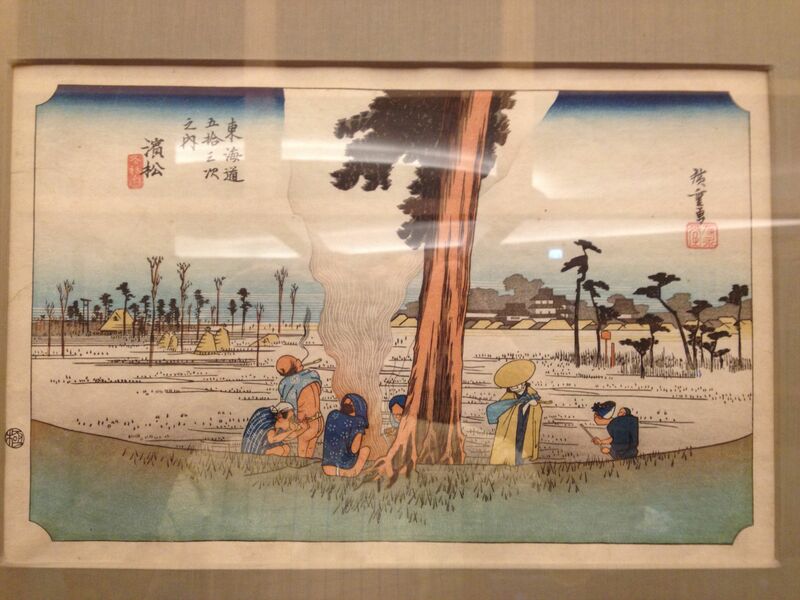 The Narita Admiral’s club had these wonderful woodcuts by Hiroshige, the 53 stations of the Tokaida. Wonderful compositions where space where scales merged, simultaneously showing dramatic distances, mid-range action, and vivid close portraits; merging also humanity, place, always with a sense of the winding road, the journey going on. I got pleasantly sozzled on gin and tonics, remembering at some point to check my hotel reservation and discovering that I was not due to arrive until the day after. So I spent my first night in a luxury suite at the Intercontinental Grand rather than the Intercontinental Coex at the other end of the convention complex. Nice way to recover form a first night’s jet lag.